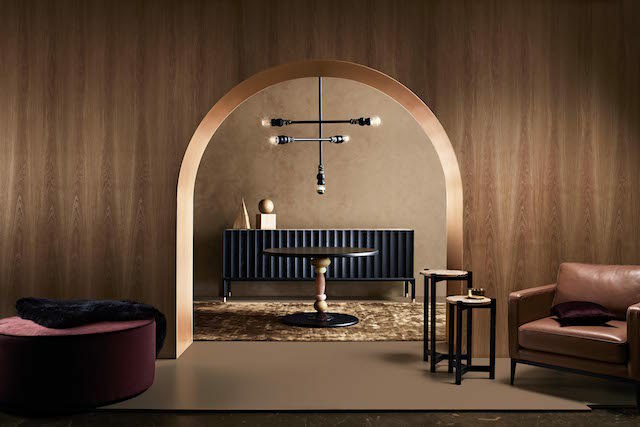 Continuing their reign as one of Australia’s finest furniture makers, the new range from Zuster titled ‘The Jewel Collection’ is next level – it’s some of the most magnificent furniture we’ve ever seen! Instant heirlooms, the range comprises luxurious hand-crafted materials with precious, jewel-like embellishments to earthy yet super-glam effect. Launching in early June, the collection of 10 bespoke items has been created with a rich and earthy palette of luxe, precious materials. 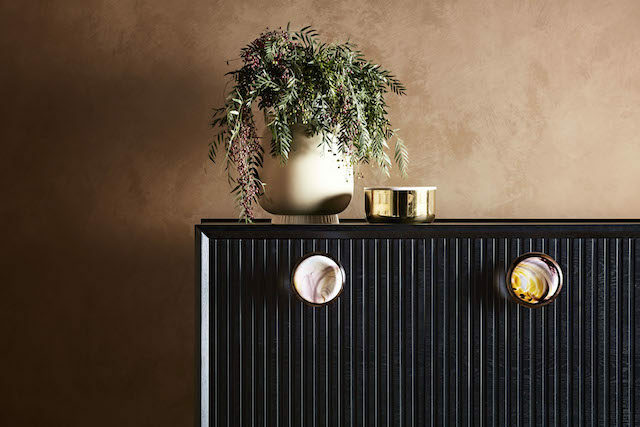 Hand-carved timber forms the basis of the collection which is embellished with amazing details like hand-blown glass, precious stones (quartz and citrine), specialty marbles and warm, metallic hints of copper and glass. “In combining these beautiful, natural materials we have forged a new signature for Zuster. It’s a bespoke design approach that marries high end fashion with furniture, drawing on a tradition of hand detailing and embellishment to create furniture pieces that make a stunning statement in your home,” says Zuster managing director, Fleur Sibbel. “The Jewel Collection is the result of a very organic and creative process which pushes the limits of our craft. Each item within the collection holds a certain kind of magic” says Zuster designer and director Wilhelmina McCarroll. 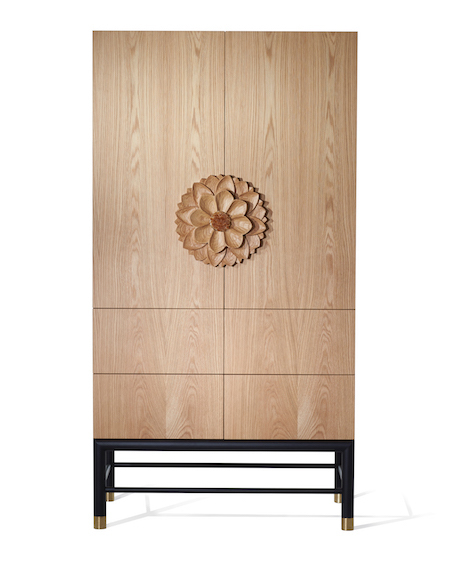 One of the collection’s hero pieces, the Jewel scalloped buffet is full-tilt 1970’s glam – the beautiful solid timber base is combined with solid brass feet, scalloped door fronts and a Grand Canyon onyx inlay. The details are breathtaking. “When designing the Jewel scalloped buffet I drew inspiration from my childhood, surrounded by timber artisans and craftsman details. 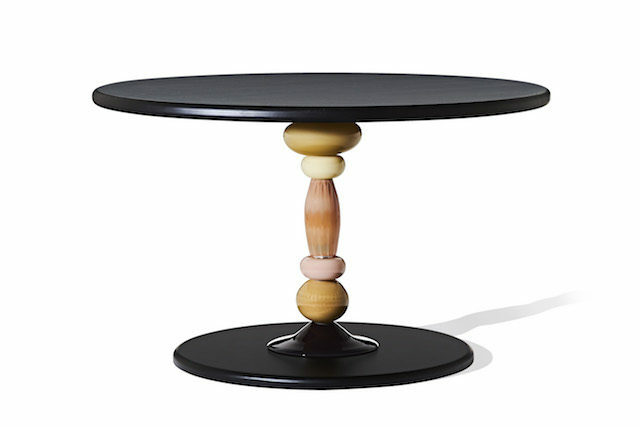 The result is a statement piece with heirloom appeal that shows off Zuster’s exceptional craftsmanship and brings together our passion for design, innovation and, ultimately, function,” says Wilhelmina. 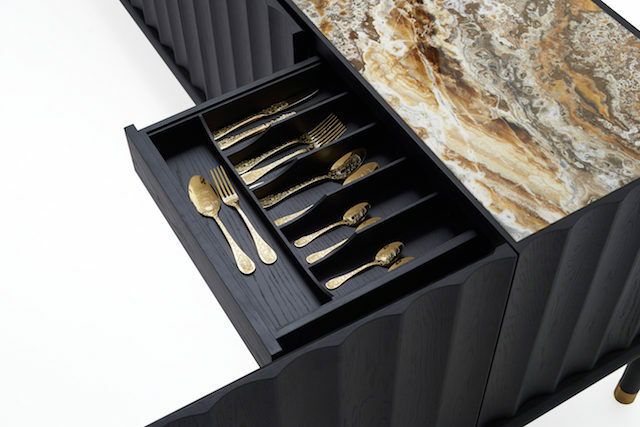 With all of the pieces fully customisable (down to the drawer linings) within a short, eight week lead time, the news is even better. “Customisation is all part of the Zuster experience. 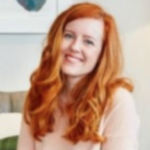 We work very closely with customers to provide a bespoke service which allows them to refine their Zuster-designed pieces to suit their space, lifestyle and needs,” says Fleur.